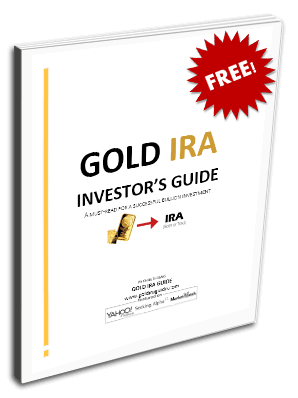 Gold IRA GuideFederal Reserve Are Stocks Returning to A Bull Market? The Stock market got off to a bumpy start to the beginning of the year amid concerns about global recession and fears of a hard landing for the Chinese economy. However, the past three weeks has seen the stock market rebound giving the impression that the Bull market may be back. Since the most recent low for the S&P 500 on February 11, it has rallied 9% while the Russell 2000 has done even better increasing by 13.1%. This new surge forward has also coincided with a rebound in crude oil prices. The April contract for WTI has risen 5.03%. This rebound comes after the S&P 500 fell from its all-time high in May 2015 of 2134.28 by 15.2%. So an official Bear market was avoided, as a fall in prices is only considered a Bear trend when there is a decrease of 20% or more. That said, we still cannot say the market is back into Bull mode, at least not just yet. It’s clear that any market rally will have corrections to the downside, and so will any market selloff have corrections to the upside. But we have seen an increase in volatility over the past several months with lower lows and lower highs. A return to the Bull cycle will only be established once a continued series of higher highs takes price past its all-time high. Not to say this is not possible but it does seem challenging unless there is a real strengthening of economic data. At the start of the year, the S&P 500 was at 2038.20, so we are still in negative territory despite 3 weeks of increasing prices. The rally has coincided with better economic data over the past weeks. Retail Sales in February was higher than expected and on the same figure as the previous month, whereas a decrease in this number had been expected. The Consumer Price Index increased by 1.4%, that is quite a rise considering the previous month’s rise was 0.7% and greater than the expected number, 1.3%. Durable goods orders also increased by 4.9% a sharp rise after last month’s decrease by 5.0% and much higher than expected data of 2.5%. This data shows good signs of the economy moving back into a more expansive phase, and above all the data beat the market’s expectations which will have given stock prices a boost. However, better economic data may not be simply enough to propel the stock market to new highs in the medium term. One number that hasn’t been in line with other recent economic data is Consumer Confidence February’s number was much lower than the expected 97.0 at 92.2, with the previous month’s number at 97.8. This may be a reflection of the lapse between better economic data and the effects being felt by the general public. Last data for ISM Manufacturing PMI is at 49.5 although higher than last month at 48, it is still below 50, a sign of economic contraction. Industrial production is still negative at -0.7% for the last quarter. Further improvements in economic data will be necessary to fully turn the trend around and create bullish momentum again. Last Friday Non-Farm Payrolls were released for February showing an increase in jobs by 242k. That’s a large increase from last month’s data of 172k and much better than forecasts of 190k. Core Personal Consumption Expenditure is also on the rise, last data showed an increase 1.7% YoY. CPE is a gauge for inflationary pressure, which usually increases in an expanding economy. GDP is also steady at 1%, slightly better than the previous quarter at 0.8%. How can any of this be cause for concern? Well the stock market rally that lasted 7 years and took prices beyond pre-crisis highs was achieved with very similar data. In fact Job creation was better in 2014 than it was in 2015. GDP has been at similar levels over the whole period, the one thing that seems to be rising is inflation. The Fed has stated many times that its main metrics for raising interest rates to higher levels would be job creation and inflation. Both of these data would seem to be showing levels that may justify further increases in interest rates in the near future, if they hold. But this is the thing, these economic levels with interest rates near zero have propelled the stock market, but the same economic data and higher interest rates means that stock prices cannot look so attractive. Stock prices are a reflection of future income streams. When these incomes are calculated at net present value with a higher interest rate their value will decrease. All things being equal higher interest rates will simply weigh on stock prices. In fact it wouldn’t surprise to see a renewed downward trend once the Fed begins to make more remarks as to when the next rate hike will happen.